Microsoft officially announced that Microsoft Office 2011 for Mac will be released on October 26, and the office suite is now available for pre-order. The new version of the popular office suite features Word 2011, Excel 2011, PowerPoint 2011, Outlook 2011, as well as Messenger 8 for Mac, and Remote Desktop for Mac 2, all apps are said to be fully compatible with their Windows counterparts. 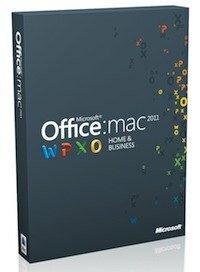 All versions of Office 2011 for Mac are available for pre-order on Amazon , and include free shipping for the release date of October 26, 2010. There are no 3 packs shown – only 1 packs. I already have it, Outlook is so much better than previous versions, very slick indeed.